Local history is highlighted in the Old Mill Pond Museum in Lindale. Lindale (/ˈlɪndeɪl/) is a city in Smith County, Texas, United States. The population was 4,818 in the 2010 census. It is part of the Tyler, Texas, metropolitan statistical area. After the Civil War, Richard B. Hubbard, a former officer in the Confederate Army and owner of a large plantation on what is today a gated community called Hideaway Lake, began searching for a more convenient way to ship the produce grown on his land. Hubbard convinced railroad officials to lay track between nearby Tyler and Mineola. Hubbard's brother-in-law, Elijah Lindsey, anticipating growth around the new railroad, opened the fledgling community's first general store in 1871, and Lindale had its start; Lindsey was elected the town's first mayor a year later. Several stories abound locally about how Lindale got its name, but the most common is that Lindsey's name was combined with the suffix "dale" to form "Lindseydale." The name was shortened to Lindale in 1874 when the first Post Office opened in town. A year later, the International-Great Northern Railroad extended its line through Lindale, and the town's fledgling canning and fruit packing industries took off. By the late 1880s, some 300 people lived in the town, which was gaining fame for its fruit and berry canning industry. By 1900, the city had its own newspaper, two cotton gins, several shops, churches, a telephone exchange, a doctor and lawyer, as well as the ubiquitous canning factory. In 1905, the town was incorporated; it spanned about a square mile in total. Produce continued to be the city's main source of income, and by 1950 the town had gained a reputation for being the "blackberry capital of the world," with tons of berries being canned and shipped each year. The 1949 comedy film release, Strike It Rich, starring Rod Cameron and Bonita Granville, was filmed in the Lindale, Tyler, and Kilgore area. An exhibit on the picture is found at the Old Mill Museum in Lindale. In 1996, Lindale's school board banned 32 books from its schools, including To Kill a Mockingbird, because they "conflicted with the values of the community." According to school board president John Offutt, a Baptist minister, the board's action was an attempt to make students adhere to Christian beliefs. Currently, To Kill a Mockingbird is again required reading in the High School Pre-AP English II class. Lindale's produce trade has declined significantly over the past two decades, with the closure of its canning factory, allowing other industries to grow, including cattle, hay production, and rose-growing. Several religious ministries (including Teen Mania Ministries, Mercy Ships, Keith Green and his Last Days Ministries, Youth With A Mission, and David Wilkerson and his Teen Challenge and World Challenge ministries) either are or were located near Lindale. With the growth of Tyler and the increased traffic on I-20 and US-69, Lindale has experienced a surge in residential, retail, and other commercial development. The town is served by the Lindale Independent School District, one of Texas' top public school districts. In 2010, Lindale Independent School District was rated as "Exemplary" by the Texas Education Agency. Since 2008, the nearby Texas Rose Horse Park has been the home of the annual Super Ride: International Festival of the Equestrian Arts. The event hosts the prestigious United States Equestrian Drill Championship (USEDC). For Super Ride XII in June 2014, the format has been expanded to include an International Quadrille Championship, an American Vaulting Association recognized Vaulting Celebration and The World Escaramuza Challenge. Lindale is located at 32°30′26″N 95°24′30″W﻿ / ﻿32.50722°N 95.40833°W﻿ / 32.50722; -95.40833 (32.507145, −95.408293). According to the United States Census Bureau, the town has a total area of 4.0 square miles (10.4 km²), of which 4.0 square miles (10.4 km²) is land and 0.04 square mile (0.1 km²) (0.50%) is water. As of the census of 2000, there were 2,954 people, 1,102 households, and 794 families residing in the city. The population density was 736.2 people per square mile (284.4/km²). There were 1,186 housing units at an average density of 295.6 per square mile (114.2/km²). The racial makeup of the town was 88.19% White, 6.91% African American, 0.54% Native American, 0.71% Asian, 2.17% from other races, and 1.49% from two or more races. Hispanic or Latino of any race were 4.47% of the population. There were 1,102 households out of which 35.8% had children under the age of 18 living with them, 56.9% were married couples living together, 11.3% had a female householder with no husband present, and 27.9% were non-families. 24.9% of all households were made up of individuals and 11.2% had someone living alone who was 65 years of age or older. The average household size was 2.56 and the average family size was 3.06. In the city the population was spread out with 26.9% under the age of 18, 7.8% from 18 to 24, 27.1% from 25 to 44, 20.8% from 45 to 64, and 17.3% who were 65 years of age or older. The median age was 37 years. For every 100 females, there were 84.5 males. For every 100 females age 18 and over, there were 80.5 males. The median income for a household in the city was $33,733, and the median income for a family was $38,787. Males had a median income of $31,538 versus $21,250 for females. The per capita income for the city was $14,825. About 9.6% of families and 11.9% of the population were below the poverty line, including 16.1% of those under age 18 and 10.9% of those age 65 or over. Kelli Finglass – director of Dallas Cowboys Cheerleaders. Graduated from Lindale High School. The climate in this area is characterized by hot, humid summers and generally mild to cool winters. According to the Köppen Climate Classification system, Lindale has a humid subtropical climate, abbreviated "Cfa" on climate maps. 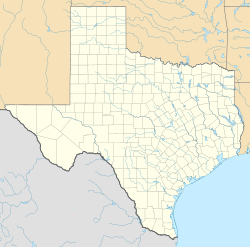 Wikimedia Commons has media related to Lindale, Texas. This page was last edited on 28 March 2019, at 04:38 (UTC).